The next Alberta kid drafted by the Flames will be the 40th selected from the home province since 1980. Of the first 39, the most successful of them all was also one of the first selections. In 1981, Calgarian Mike Vernon was picked in the 3rd round, 56th overall. He would go on to win a Stanley Cup with the Flames in 1989. The Button surname has been linked to Flames drafting since 1997 when General Manager Al Coates hired Tod Button as an amateur scout. Three years later, Calgary passed on much-discussed candidates such as Jim Nill to hire Craig Button as general manager. 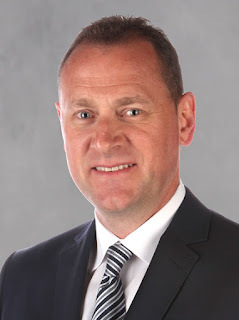 Craig, one year older than brother Tod, came to the Flames from Dallas where he had a successful decade-long run there as Director of Scouting, followed by Director of Player Personnel. During his time, Stars draft picks included Jarome Iginla, Mike Modano, Jere Lehtinen, Brenden Morrow, Marty Turco, Derian Hatcher and Jamie Langenbrunner. Trading Marc Savard, 25, to Atlanta for mysterious Russian Ruslan Zainullin. Dealing goaltending prospect Jean-Sebastien Giguere, 23, to Anaheim for a 2nd round draft pick. Releasing 25-year-old prospect Marty St. Louis. While Craig's final two drafts (2001, 2002) did yield four NHL regulars in Chuck Kobasew, David Moss, Eric Nystrom and Matthew Lombardi, he also whiffed on all three second round picks during those two drafts -- US collegian D Brian McConnell (39th in 2002), C Andrei Taratukhin (41st in 2001) and stocky G Andrei Medvedev (56th in 2001). Tod, meanwhile, was promoted by his brother to Director of Scouting in 2001. His title changed to Director of Amateur Scouting after a re-organization in 2011 and he remains in that pivotal role today. There's no shortage of draft-related sections, sub-sections and tables in the 517-page Collective Bargaining Agreement between the NHL and the NHLPA. On June 1, two different situations played out for the Flames in relation to players drafted from the Canadian Hockey League. Here's a summary of what took place and why. What many people don't know is there are two deadlines when dealing with players drafted from the CHL (made up of the WHL, OHL and QMJHL). Deadline No. 1 - By the next June 1, following the draft in which they were selected, the club must make a bonafide contract offer to that player in order to retain their rights for an additional year. Otherwise, he goes back into the upcoming draft. "Bonafide" means a legitimate contract that abides by minimums for salary and term as set out in the CBA. Typically these contracts will be at or near the league minimum and generally will include no signing or performance bonuses. It was on the June 1 that just past that the Flames acknowledged they had made a contract offer to 2013 5th round draft pick D Eric Roy, thus -- regardless of whether he signs that contract or rejects it (he has 30 days), the Flames retain his rights until June 1, 2015. Deadline No. 2 - By the second June 1 following the draft in which a player is selected, the club must then sign a CHL player or that player goes back into the draft. In the case of LW Coda Gordon, a 2012 draft pick. He would have been made a contract offer last spring, as was also done with defencemen Ryan Culkin and Brett Kulak. All three rejected that initial contract offer and in March, both Culkin and Kulak received another contract offer -- for better money, and both signed entry level contracts with the Flames. Gordon, however, did not receive another contract offer. It's not uncommon for a player to reject that initial offer in hopes that they'll have a great junior season and elevate their stock. But as we saw with Gordon, there's no guarantee another contract offer will come. All season, Kootenay Ice forward Sam Reinhart was a considered a lock to be drafted in the top three in the 2014 NHL Draft. But the gap between Reinhart, Sam Bennett, Aaron Ekblad and the rest seems to be closing and there is speculation that Leon Draisaitl could be the target for Edmonton at No. 3 and if so, it could be Reinhart that tumbles out of the top three, not unlike what happened to Seth Jones last year, who ended up going 4th to Nashville after spending much of the year speculated as being a top two pick. Of those duos, Bill only played for Atlanta so in Calgary team history, that reduces the list of brother acts to two. The first was Flames 1989 2nd round pick Ted Drury, who was long gone by the time his younger brother Chris came to town in a trade with Colorado. That leaves Richie and Robyn Regehr as the only brothers to be in the Flames line-up at the same time. Richie's NHL career lasted only 20 games but Robyn was in the line-up for all 20 of them spread over the 2005-06 and 2006-07 seasons. As a side note, Richie continues to play professional hockey in Europe. After several years in Germany, he played last year for MoDo in Sweden, which happens to be the same team highly touted draft prospect, Calgary-born William Nylander, spent time with last season. During the first three decades in Calgary, 13 of the Flames 28 first round draft picks ended up playing less than 20 NHL games with Calgary -- many of them not making it to the NHL at all. 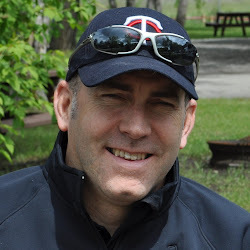 The misery began with defenceman Chris Biotti, selected 17th overall in 1985, and the latest whoops was defenceman Tim Erixon, selected 23rd overall in 2009. Let's be honest, that is a brutal ratio and if you're looking for the single biggest reason Calgary has won only three playoff series in the last 25 years -- all of them in 2004, it's their first round futility at the draft table. Depending on your age, some of these names are more folklore than guys you have recurring nightmares about but here is the unlucky 13 -- listed in chronological order: Chris Biotti, George Pelawa (died in a car accident three months after being drafted), Bryan Deasley, Jason Muzzatti, Niklas Sundblad, Jesper Mattsson, Daniel Tkaczuk, Brent Krahn, Kris Chucko, Matt Pelech, Leland Irving, Greg Nemisz, Tim Erixon. For the team's first 10 years in Calgary, the architect behind those glorious teams of the 1980s was general manager Cliff Fletcher. Fletcher can also lay claim to having had the best ever draft for the Flames, which happened at the Montreal Forum on June 9, 1984. Three of the four would be instrumental in the Flames winning their only Stanley Cup in 1989. Roberts and Suter were key parts of the team. Hull was traded to St. Louis in March 1988 and while that deal that was Hull and Steve Bozek for Rob Ramage and Rick Wamsley will always be criticized considering the hall-of-fame career Hull ended up having, Ramage and Wamsley would play key roles on that 1989 team. For the speedy Ranheim, he spent most of 1988-89 in the minors with his first full year coming the following season. For good measure, Fletcher also selected 26-year-old Jiri Hrdina in the 8th round of 1984, one of four established Czechs taken that year by the Flames GM, who hoped they would either one day defect or eventually be released to play in North America. Sure enough, Hrdina did come over to the NHL and his parts of four seasons with Calgary included being a member of that 1989 Flames team. G Craig Anderson - In 1999, the Senators goalie was drafted in Round 3, 77th overall. But under Craig Button's watch, the club couldn't come to terms (Button had just drafted G Brent Krahn in the first round of 2000) so he returned to the 2001 draft and was picked 73rd by Chicago. C Jarret Stoll - In 2000, the Kings centre was drafted in Round 2, 46th overall. He also couldn't agree on a deal so the Flames traded him just before the deadline to Toronto, who did come to terms with Stoll but didn't get the paperwork faxed to the league on time. Stoll re-entered the 2002 draft and was picked 36th by Edmonton. Note that the only scenario in which a team is compensated for not signing a draft pick is if that player was a 1st round pick. As long as the club makes a bonafide contract offer to the player, if he chooses not to sign, the team is compensated at the subsequent draft with a pick of the same numerical value but in the 2nd round. For example, if the Flames had been unable to sign Sean Monahan and two years later he returned to the 2015 draft, Calgary would have received an extra selection in that draft and it would have been the 6th pick in the 2nd round. This is not so much a Flames draft note as it is a Calgary note. In 2000, the NHL held its annual entry draft at the Saddledome, the first and only time the draft has been held in Calgary. Looking back at that draft, it was awful. The top 20 that year is quite possibly the worst top 20 in draft history. In particular, from pick No. 7 through No. 17, that stretch of 11 selections produced only one legitimate, long-term NHLer and that was defenceman Ron Hainsey, selected by Montreal at No. 13. Of course, one of the 10 picks that didn't pan out in that stretch was Calgary at No. 9, who drafted Brent Krahn, who had been playing for the Calgary Hitmen. The interesting story that goes with that is Krahn was the second goaltender selected -- Rick DiPietro was chosen first overall by the New York Islanders. Meanwhile, the 22nd goaltender off the board -- selected by the New York Rangers in round 7, 205th overall, was Henrik Lundqvist. Yes, that Henrik Lundqvist. The salt in the wound for Flames fans is they expended two picks on goalies that year, also taking and missing on Hungarian Levente Szuper, drafted in round 4, 116th overall. Unfortunately for Flames fans and for the organization, there are a bunch of years to pick from when debating what was Calgary's single worst draft year. However, for me, it was 2006 under Darryl Sutter. Armed with eight picks in 2006 -- although as became the norm under Sutter, no 2nd rounder as it had been dealt away, goaltender Leland Irving -- 26th overall, was the lone player to make it to the NHL and you are all familiar with his plight. During his last two years at Abbotsford, he had short stints in Calgary getting in a total of 13 games and posting a 3-4-4 record with a 3.25 GAA and .902 SV%. For next season, he has signed with Avangard Omsk in the KHL. Interestingly, that is Karri Ramo's old team. It's impossible to write anything that hasn't been written before when it comes to Jay Feaster's highly controversial first round pick in 2012, who many have already written off. Where Mark Jankowski dubiously fits into my list is he was the most recent example of a player drafted by the Flames after trading down in the first round. By that, I mean the Flames held a higher pick but chose to drop down to a lower pick in a trade and pick up an asset at the same time. The silver lining with Jankowski -- and the saving grace many would say, is that is how Calgary got the 42nd overall pick they used to draft rugged defenceman Patrick Sieloff. On the flip side, the last time the Flames traded up in the first round of the draft was way back in 1990. Although, given how that one turned out, you can understand why the team has been gun shy to try that maneuver again. That year, Calgary GM Cliff Fletcher swung a deal with New Jersey to move up from 20th to 11th. They did so in order to draft goaltender Trevor Kidd. The cruel irony is that at No. 20, the Devils also opted for a goalie, settling for Martin Brodeur. At least the 2nd round pick Calgary flipped to New Jersey in order to move up, never amounted to anything. But that's the only positive thing to say about that deal, which was clearly won by Devils GM Lou Lamoriello. As we look ahead to the 2014 NHL Draft, might this be a year Calgary tries to move up from 4th, maybe to No. 1? Brad Treliving has acknowledged he's looked into what the asking price is from Florida but I'd be surprised if it happens. Picking No. 1 doesn't have the same cachet this year as it has in other years. Since moving to Calgary, the Flames have never picked in the top five of the NHL Draft. They are the only NHL organization that can lay such a claim. In franchise history, the last time the Flames drafted in the top five was 1973 -- the same year a young, fuzzy-cheeked forward named Brian Burke was embarking on his freshman season at Providence College. The Atlanta Flames passed on Burke -- as did all 16 NHL teams in all 12 rounds. Instead, with the No. 2 pick, Atlanta drafted centre Tom Lysiak. That was after the New York Islanders made the most of first overall, selecting hall-of-fame defenceman Denis Potvin. Lysiak played six seasons with the Flames but never wore a flaming 'C' as he was traded to Chicago two years before the franchise relocated to Calgary. That was actually the second time Atlanta picked in the top five. They also drafted 2nd overall in 1972 when the then-expansion Flames and Islanders were given the top two picks and New York ended up with No. 1 by winning a coin toss. While Lysiak had a very good NHL career, the Flames pick the year before -- centre Jacques Richard, can be considered a miss. While he still played over 500 NHL games, he never realized his Guy Lafleur-like potential that was placed on him during a standout junior career for the Quebec Remparts. His NHL career was riddled by injuries as well as gambling and alcohol problems. Six years after retiring, Richard was arrested for attempting to smuggle cocaine into Canada and handed a jail sentence. Then, on the night of his 50th birthday party in 2002, he died in a single vehicle accident while returning home. In the 34 years in Calgary, the Flames have drafted and developed only three goaltenders into a full-time role on the team and it's not from lack of trying. They've drafted 26 goalies during that span. The most recent 'success' was Curtis McElhinney and at that, he was the understudy to Miikka Kiprusoff for just one full season. The Flames hope a fourth is in the pipeline already with 2009 6th rounder Joni Ortio and/or 2012 3rd rounder Jon Gillies and while the future appears bright for both, only time will ultimately tell. It would not surprise me to see Calgary draft a goaltender in this year's draft. This is a two-part feature. For Part 2 -- the N-to-Z portion, you can click right here. Is Mikael Backlund a $5-million Player? He's not right now but I explain why he might very well command that type of salary come the summer of 2015 when his current two-year/$3-million contract expires. Have a read and you'll be convinced also. AHL Graduation Day: In the past five seasons -- a sign of how thin the cupboards have been, just four Flames players have graduated from the AHL to the NHL. But next season alone, there could be as many as four or five. I take a closer look at who has the best chance. Introducing the 2014-15 Adirondack Flames: I take an educated early guess at the make-up of the debut edition of the Flames AHL affiliate in Glens Falls, New York. Will Johnny Gaudreau be on that team or will he be in the NHL? How about Sven Baertschi? Markus Granlund? Joni Ortio? Read and find out.